Horne (right) at the 64th BOM anniversary commemoration in San Francisco, 2006. After aviation cadet training, Phil Horne was assigned as a Curtis SOC (scout aircraft) pilot aboard the heavy cruiser USS New Orleans (CA-32), which survived the Pearl Harbor attack and fought in the Battle of the Coral Sea. At Midway, New Orleans was in the screen of the carrier Enterprise. The cruiser suffered extensive damage in the Battle of Tassafaronga five months later, after which Phil was detached for brief service in various patrol assignments, and finally with a squadron flying the PV-1 Ventura patrol bomber. He piloted a Ventura on many island-based patrol and bombing missions as American forces slowly advanced toward Japan. After the war he continued to fly extensively in both the Pacific and the Atlantic, often on weather-reporting missions that took him into the eye of a typhoon. 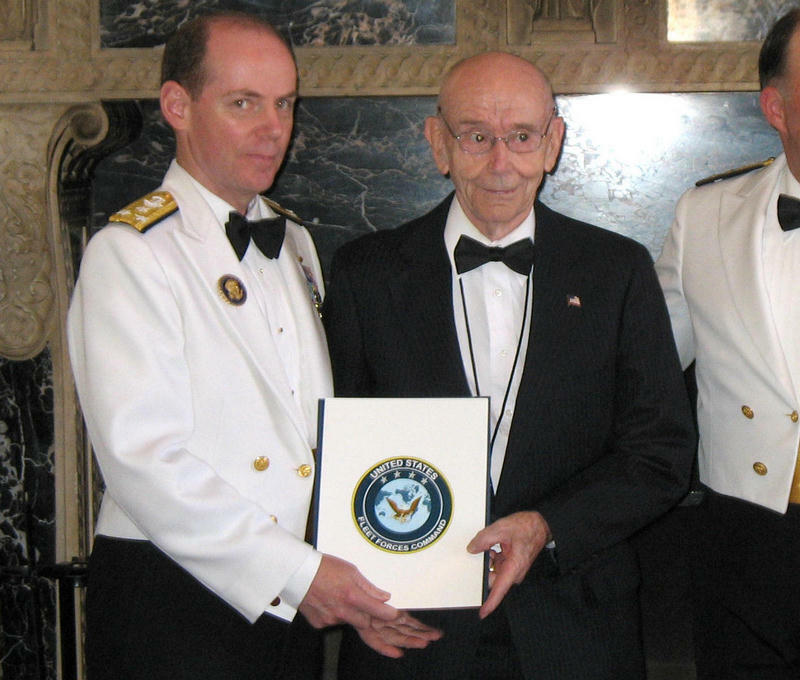 He retired from the Navy in 1963, and became a member of the Roundtable during its earliest days. Phil is a frequent participant in the annual BOM commemorations at San Francisco.